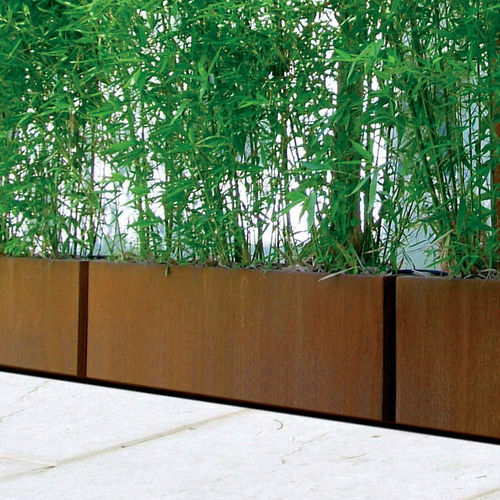 Rectangular planter, available in two lengths, made from steel sheet. The planters are equipped with a base support with fixings to regulate its slant. Each planter can be accessorised with two stainless steel plates which can be used to attach name-plates or labels.